This 5 bedroom house with private pool is located in Plage and sleeps 10 people. It has WiFi, a garden and barbeque facilities. The house is within walking distance of a beach. This spacious ten bedroom holiday home was renovated in 2014 and now boasts a bright and colourful décor. This 5 bedroom house with private pool is located in Sainte-Maxime and sleeps 10 people. It has WiFi and air conditioning. The house is near a beach. This 1 bedroom house with private pool is located in Carpentras and sleeps 2 people. It has WiFi, air conditioning and barbeque facilities. This 3 bedroom house with private pool is located in Saint-Cyr-sur-Mer and sleeps 6 people. It has WiFi, air conditioning and barbeque facilities. The house is near a beach. 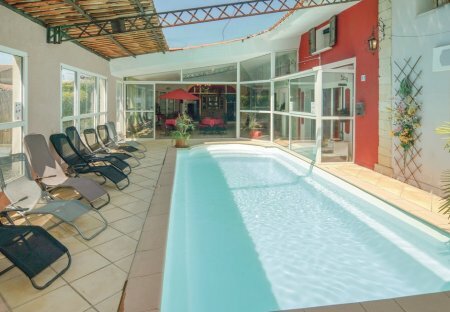 This 6 bedroom house with private pool is located in Le Lavandou and sleeps 12 people. It has WiFi, air conditioning and barbeque facilities. The house is within walking distance of a beach. This five bedroom holiday home is situated close to the charming medieval village of Saint Jeannet, which is situated at the foot of the Baous de Saint Jeannet. This 3 bedroom house with private pool is located in Saint-Nazaire-d'Aude and sleeps 6 people. It has WiFi, air conditioning and a garden. The house is near a beach. This four bedroom holiday villa is an ideal base for guests wishing to enjoy the charm and beauty of the Grau d'Agde, as well as the many treasures found in the Languedoc Roussillon region. This beautiful six bedroom holiday home is idyllically located 5.5km from Isle sur la Sorgue: one of the most beautiful cities in the region. 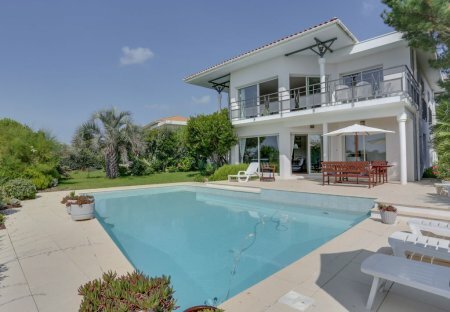 This 4 bedroom house with private pool is located in Eyragues and sleeps 8 people. It has WiFi, air conditioning and barbeque facilities. This beautiful four bedroom holiday home is ideal for a relaxing holiday in Provence. It is situated in the charming. This stunning eight bedroom holiday home is wonderfully located close to the charming hilltop village of Saint Restitut. Surrounded by a forest of truffle oaks. This south-facing, four bedroom villa is situated in a quiet and gated residential area, which is accessed via an electric gate. This 4 bedroom house with private pool is located in Le Beausset and sleeps 8 people. It has WiFi, air conditioning and barbeque facilities. The house is near a beach. This 6 bedroom house is located in Sainte-Maxime and sleeps 11 people. Situated amidst a tranquil location in the heart of the Massif de l’Esterel, this four bedroom villa benefits from breathtaking views of the forest, the Mediterranean Sea and the Lerins Islands. Beautiful and spacious holiday house luxuriously renovated, with a large patio area facing the pool. The house is set in Limeuil, classified as one of the most beautiful villages in France. Situated close to Aix en Provence and the famous Sainte Victoire, this spacious four bedroom holiday home is wonderfully located in a peaceful environment within 5000m² grounds. This spacious holiday home is situated amidst an olive grove, just 7km from Toulon. It boasts a large terrace, which overlooks the olive grove and boasts a spacious garden.